Until he started working with CFL through the SYEP program, Yasir never considered working with kids but now, he says that he loves his job. Though he doesn’t plan to pursue a career with children, his experiences with SYEP have given him valuable work experience. He plans to save half the money he earned and spend the rest on things like shoes and clothes. He says that his favorite aspects of working with a counselor is having the chance to be a good role model for the kids in his program and seeing how creative they can be. Alaysha Shaw, 15, is working at the Bay Terrace Pool Club in Queens for the second summer in a row. “I like working,” she said. “It’s something productive to do.” As a deck assistant, “I make everything clean and looking nice,” she said – sweeping the pool deck and other maintenance activities. The opportunity to work outdoors and have a hands-on job keeps her coming back, and she also enjoys the teamwork. “I’m comfortable with my supervisors. It’s a good environment.” Working till Labor Day, Alaysha earns enough money to go school shopping, help out her family members who need it, and put some in a savings account. This year is 21-year-old Taylor’s third summer working with SYEP. She currently works in CAMBA’s Beyond Hunger Emergency Food Pantry in Flatbush. A part of CAMBA’s Out of School Youth program, Taylor says that she hasn’t been able to find meaningful work because she lacked any kind of work experience. “SYEP is important because young people don’t have experience,” she says. Taylor hopes to work as a health inspector with food and says that her work with CAMBA is giving her a chance to gain real experience for her career. At the food bank, she is not only responsible for handling food, she is also responsible for keeping the facility clean and working with the bank’s hydroponic farm, where they grow fresh produce to distribute. 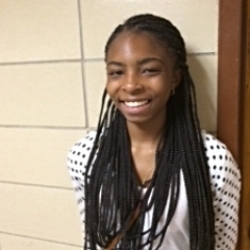 Thanks to her SYEP job with CAMBA, Taylor was offered a job at a nearby gym to work in their food preparation area and she’s optimistic about the future. Arnelle Williams, 19, and Angelina Soong, 20, are spending their summer as SYEP Ladders to Leaders interns at the Women’s Venture Fund, a nonprofit that supports women entrepreneurs. Assignments include doing office work, conducting grant research, using Salesforce, transferring physical files to electronic versions. “This is where I think I’m headed,” said Angelina. Gaining experience “puts me maybe a step ahead” since many prefer to hire candidates with previous experience, she said. Other than work-study in her college’s dining hall and freshman dorm, this is Arnelle’s first job. It gives her “more independence,” she said. “After the financial literacy workshop two weeks ago, I did start budgeting,” Angelina said. 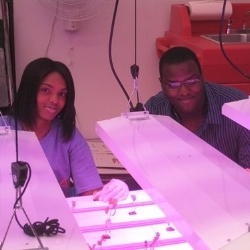 The internship has influenced Arnelle to adjust her academic path. “I believe we need more women in this field,” she said. Last year, after being prompted by some friends, Rabab applied to SYEP but was turned way. Instead of working, she spent her summer on the couch. “Every day, I’d see my friends posting ‘oh, just finished work!’ online or something like that,” she said, recalling how the experience discouraged her. In February, she started volunteering for the Center for Family Life in Sunset Park in their after school program. When summer came around again, Rabab was urged by her sister to apply to SYEP again. “I wasn’t going to do it,” she recalled, “I figured I’d just get rejected again so what’s the point.” Rabab did apply and was placed with the Center for Family Life’s summer camp in I.S. 136. There, she works as counselor for 8-9 year old girls and says that she loves her job and is grateful for the chance to earn money for the work that she does. She says that her SYEP job lets her do something fun with her summer while giving her real work experience. 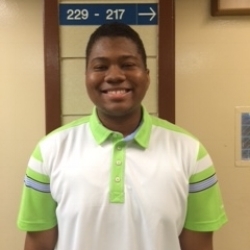 Oussame Terrab, a 21-year-old college senior, began working as a volunteer counselor at age 14 and has staffed Camp Explorer for five summers in a row. This is his second year participating in SYEP. He’s an aquatics director, coaching specialist (teaching mostly soccer and basketball to the young campers), and math/science specialist, leading games, contests, and science-related activities for the kids. At the Central Queens Y, the contractor in charge of Explorer, “they opened their arms so wide and gave me everything they have.” At SYEP, he said “you’re offered a place to learn. They push us to learn about the value of money and the meaning of a job. … I was earning good money.” Melissa, the director of Camp Explorer, “is an awesome boss,” he said. “She opened so many doors. She helped me understand my weaknesses and strengths,” giving advice on money, career, and other important aspects of life. 18-year old Stephanie participated in SYEP in summer 2013 through the Center for Family Life in Sunset Park. As a participant, she worked in the center’s main office, doing administrative work. The experience was Stephanie’s first job and gave her a chance to do something productive with her summer. At the end of SYEP, Stephanie was offered a job and continued to work with CFL during the school year. When Stephanie first started SYEP, she was terrified of working with kids. When her SYEP supervisor suggested that she participate in a few camp activities at the CFL summer camp, she hesitantly agreed. Over time, she started becoming more comfortable around kids and learned that she loved working with them. This summer, Stephanie was hired by CFL as a group leader for a co-ed group of 5th graders at a summer camp in IS 136. Stephanie says that her SYEP experience taught her to effectively communicate with people of all ages and to manage her time, especially when there were so many different things happening at once. She hopes to continue working at CFL’s after school program while studying nursing in college in September. 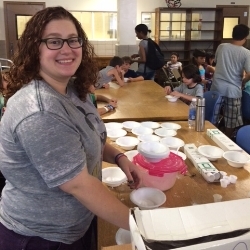 It’s Sara Gluck’s fourth summer at Explorer Day Camp, but the 20-year-old counselor specializing in “Bakers & Shakers,” the cooking session, is earning $300 more than she has in past summers. It’s her first summer in SYEP, which – among other benefits – enables community organizations to retain great summer staff members with city funding. “I’m good with kids,” she said, and in her position as “expert floater” she can move from cooking to towel duty to other camp activities. Cassima and Alon, both 15, work at the Central Queens Y in an arts and crafts program for summer campers. 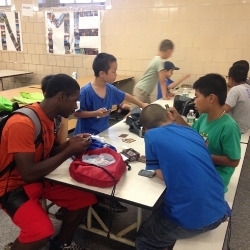 Alon started working part-time at the Central Queens Y earlier this year as a counselor at the Kid’s Korner after-school program, but like Cassima, this is his first time participating in SYEP. Last summer, he volunteered at camp here and this year jumped at the opportunity to apply for SYEP and get paid for work he loved doing. “I like that we can interact with the kids and help them out whenever they need it,” he said. “My favorite thing is the kids,” added Cassima. “When you talk to them they have such a different perspective, it’s cool.” Cassima wanted to earn her own money “so I wouldn’t have to keep asking my mom and dad. … I bought clothes and shoes and stuff like that.” Both plan to apply for SYEP again.